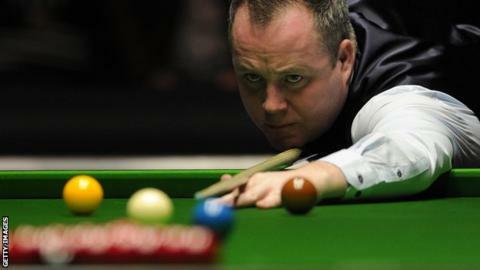 Former world champion John Higgins progressed at the China Open, with world number two Stuart Bingham also making it into the third round. Higgins made a high break of 88 to beat Mark Joyce 5-1 and Bingham went through with a 5-3 win over Ian Burns. Shaun Murphy overcame David Grace to go into the second round before a 5-3 loss to Mark King in Beijing on Wednesday. Jimmy Robertson lost 5-1 to 2011 winner Judd Trump, while Martin O'Donnell beat Matt Selt by the same scoreline. "There are only a few top-16 players left but that shows how much class there is lower down the rankings," said Bingham. There were also second-round wins for Stephen Maguire and Ricky Walden. Maguire will face Dominic Dale in the next round after the Welshman knocked in two centuries to beat Leeds teenager Darryl Hill 5-3. Graeme Dott won 5-2 against 15-year-old amateur Yuan Sijun, the schoolboy who whitewashed Martin Gould on Tuesday.